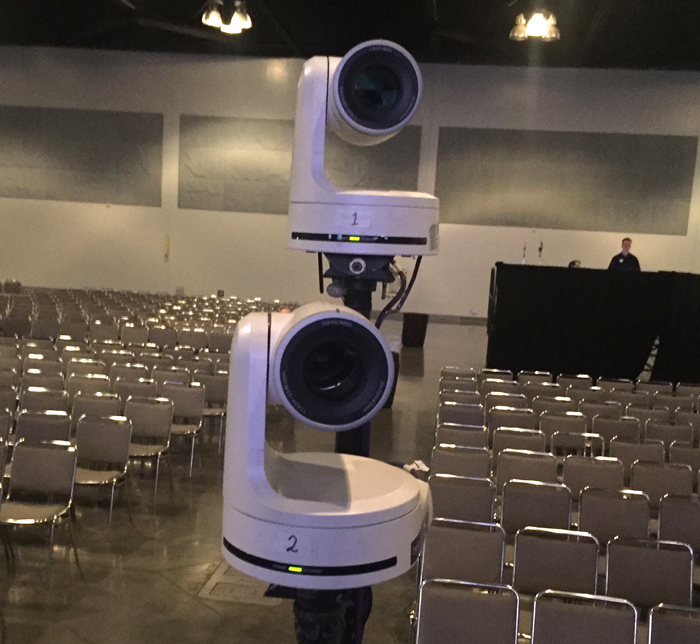 Since its introduction in 1986, VideoBob Robotic Systems have been used in hotel ballrooms and convention centers throughout the U.S., as well as sites in Canada, England, France, Italy and Puerto Rico. A client list that includes PSAV, Encore Technologies, AT&T, Coca Cola, Proctor and Gamble, NASA and Microsoft, as well as countless special events, confirms that VideoBob Productions,Inc. has established itself as a pioneer in the mobile use of fluid motion robotic video cameras. 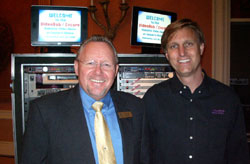 "I'm very pleased to have had the VideoBob people demonstrate their system at our property. 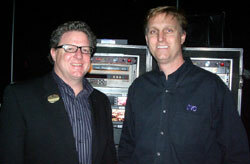 Any new technology that increases the quality of Encore Productions services to our clients is always welcome. We were impressed with the unique capabilities of robotic cameras and the professional manner in which they were used. I welcome opportunities that we have to work with VideoBob to provide a quality and cost effective solution for our clients." "We needed four cameras for this CEO conference -two cameras for the seminar/awards presentations on stage while the other two were needed for the extensive Q&A. To see these two VideoBob guys run the whole production - cameras, switching, matrix, graphics and playback - I have to say, I'm impressed. The client was very happy and we stayed within their budget." VideoBob.com 2016 © All Rights Reserved.